Some time back DJ Tira teased that he’s new song with AKA, OkMalumkoolkat & Prince Bulo. 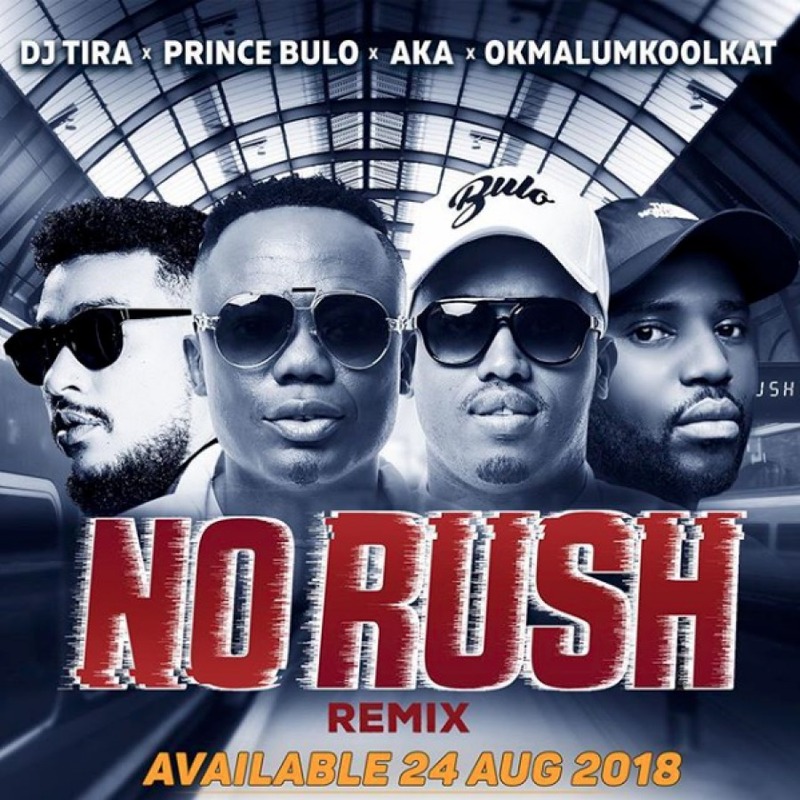 Now the is finally to drop which a remix of ‘No Rush’. DJ Tira confirmed the drop when he shared the artwork which ultimately revealed the drop date too which is this Friday. #NoRushRemix is current available for pre-order and will definitely be one the highlights of Friday.